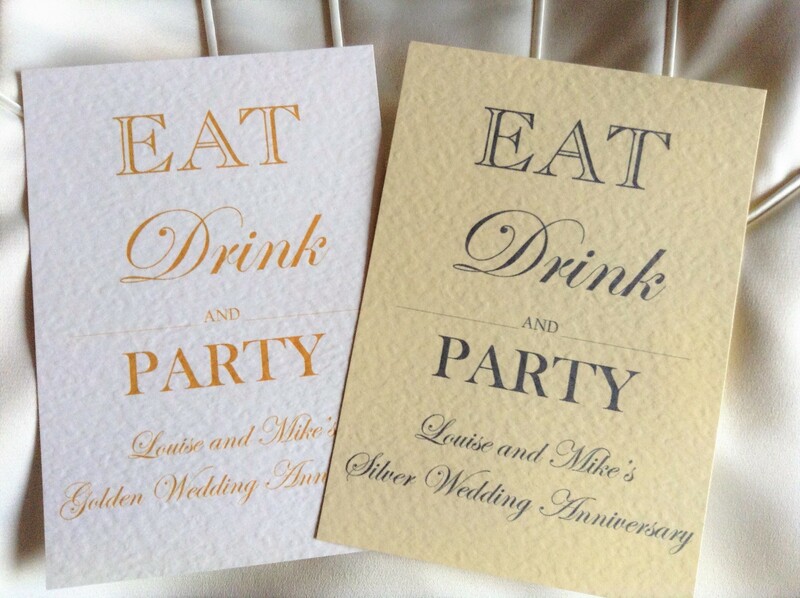 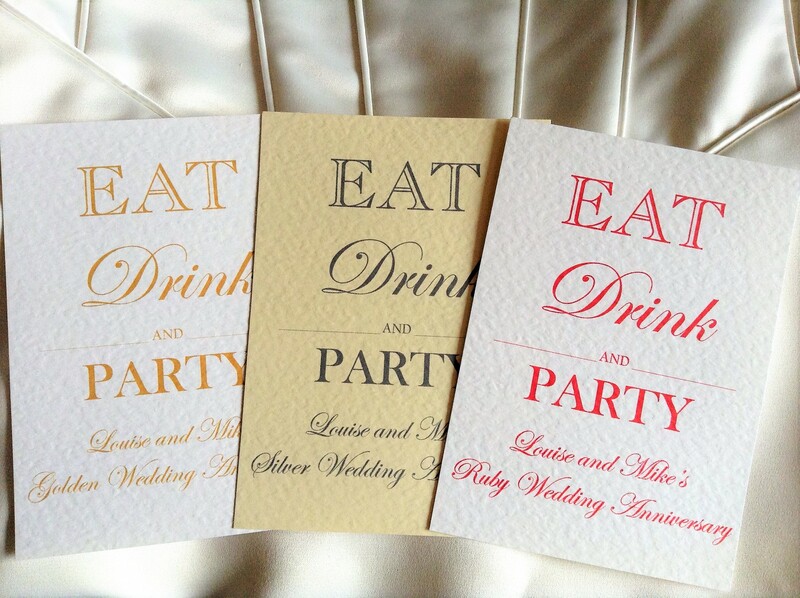 Luxurious Personalised Eat Drink and Party Wedding Anniversary Invitations are available for Silver Wedding Anniversary, 25th, Ruby, 40th, Golden, 50th, Diamond, 60th, Wedding Anniversary Invitations. 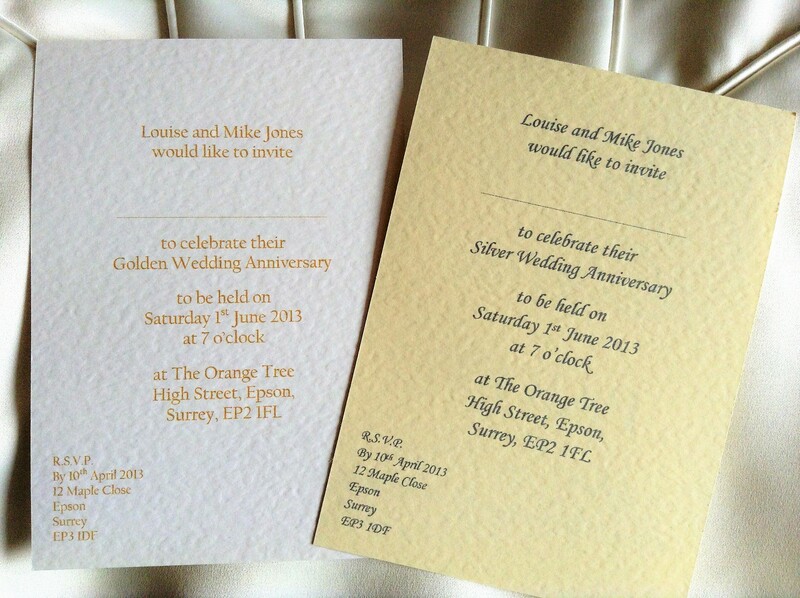 Price includes all personalised printing both on the front (your names) and the invitation details on the reverse and a matching envelope. 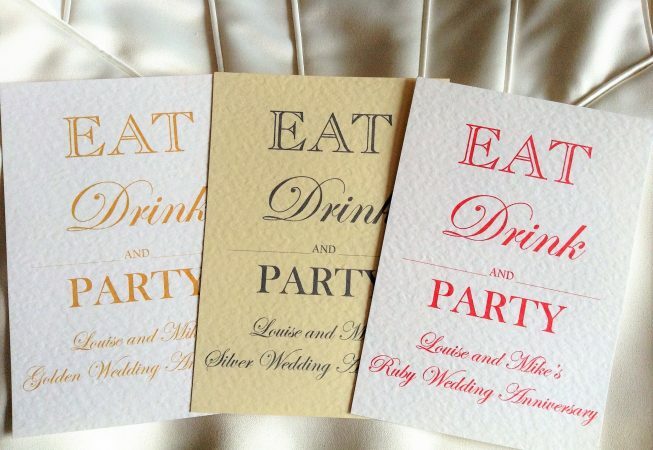 There is a good selection of font styles colours to choose from and we can print the text on your wedding anniversary invitations in any colour to match a colour scheme. 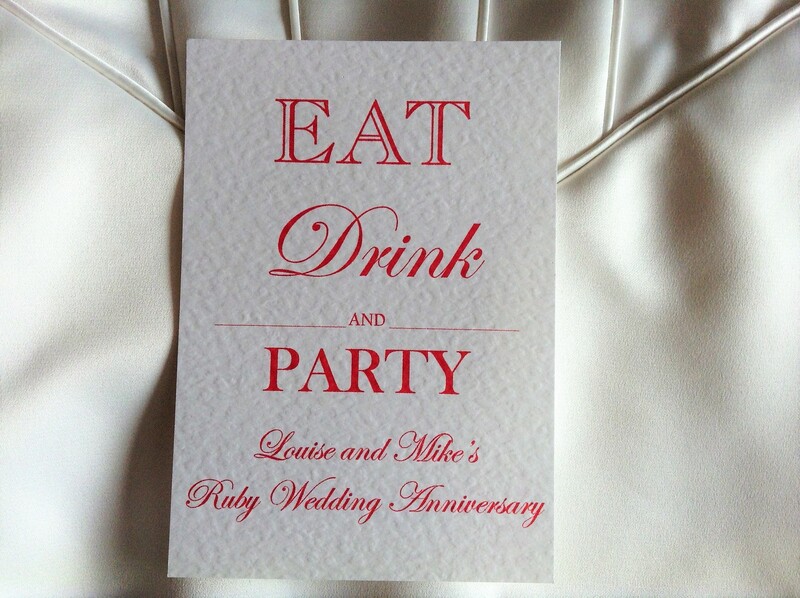 Ordering is easy, just click here for information on how to place an order.